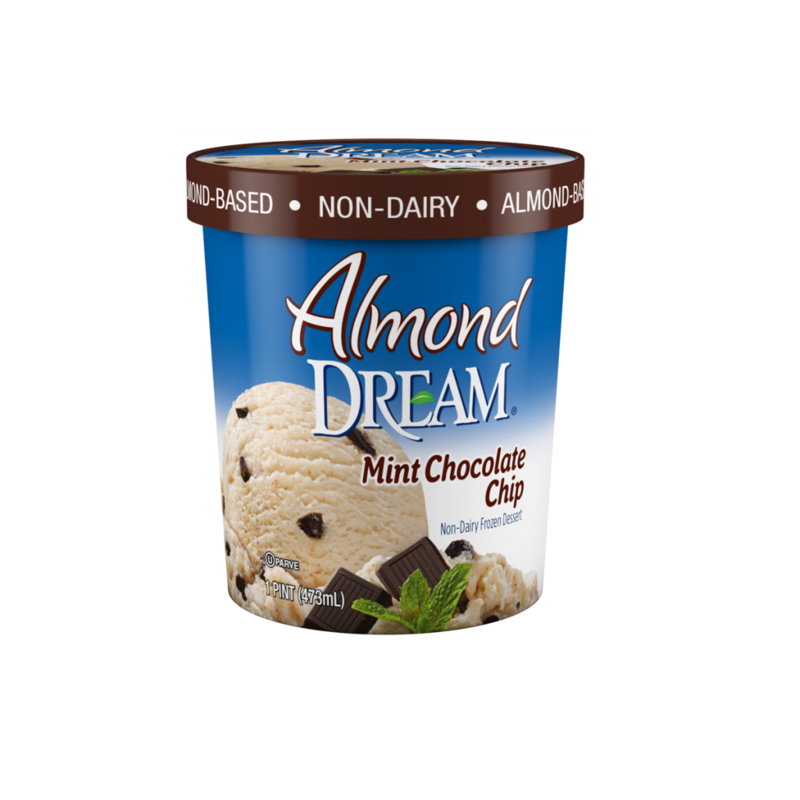 Almond DREAM® Mint Chocolate Chip Non-Dairy Frozen Dessert is a deliciously rich and creamy frozen treat made from real almonds. With its refreshing mint flavor and chocolaty chips in every bite, it just might make you say goodbye to dairy ice cream for good. 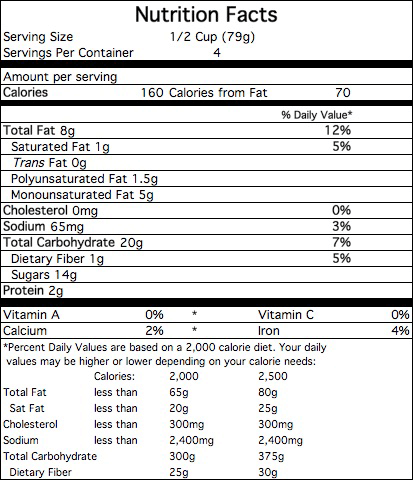 FILTERED WATER, CANE SYRUP, ALMONDS, EXPELLER PRESSED OIL (SUNFLOWER AND/OR SAFFLOWER), TAPIOCA MALTODEXTRIN, DARK CHOCOLATE CHIPS (EVAPORATED CANE SYRUP, UNSWEETENED CHOCOLATE, COCOA BUTTER, SOY LECITHIN, VANILLA), CONTAINS 2% OR LESS OF POTATO STARCH, GUAR GUM, CAROB BEAN GUM, CARRAGEENAN, SUNFLOWER LECITHIN, NATURAL FLAVORS, SEA SALT. Manufactured in a plant that uses peanuts, milk, eggs, wheat and other tree nuts.